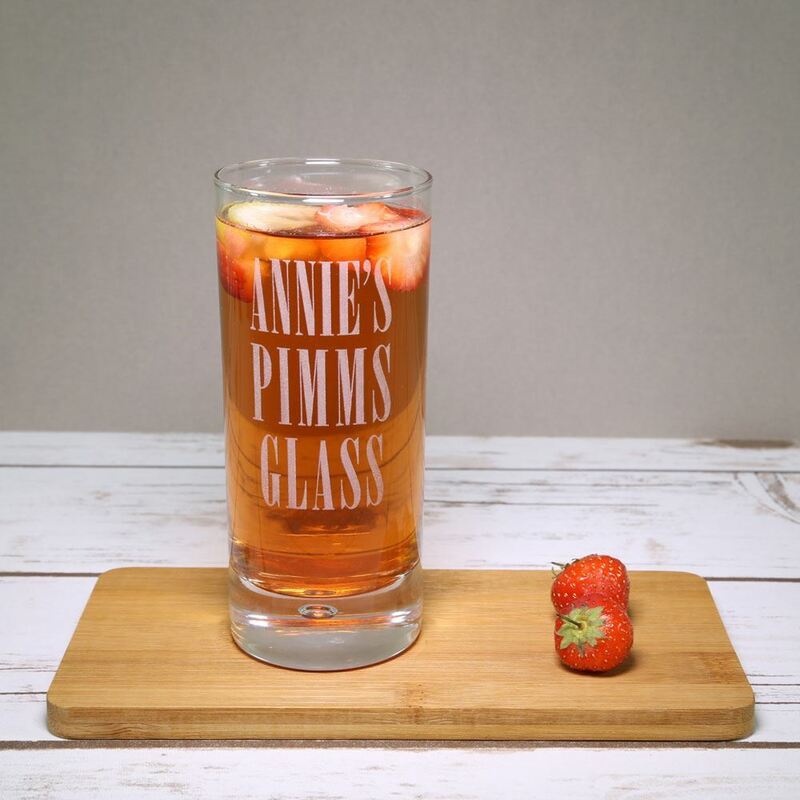 Our high quality personalised Pimms glass comes etched with your name. Perfect for summer nights and Pimms lovers! 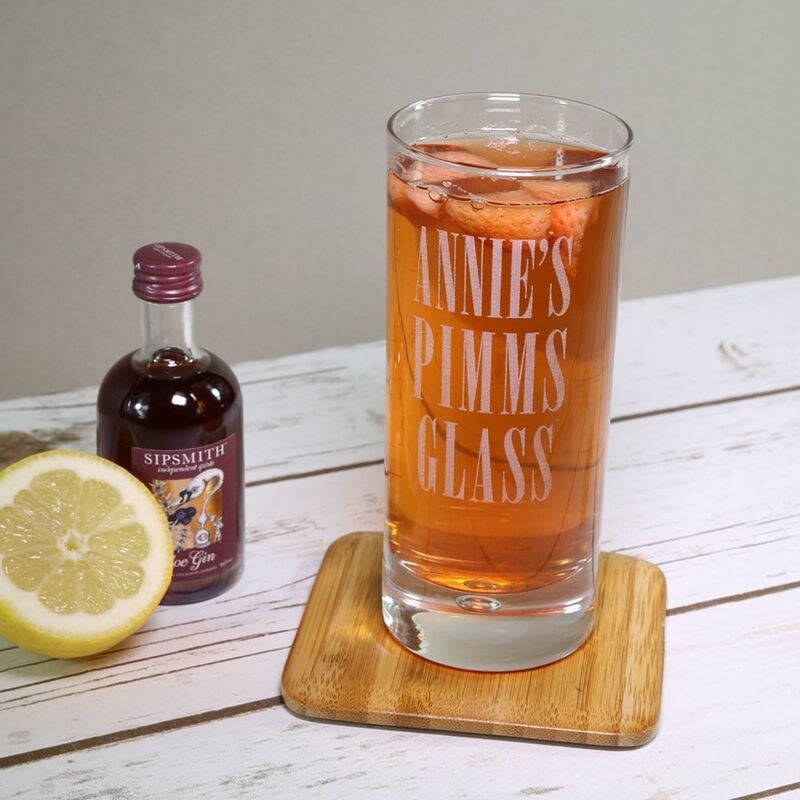 The glass measures 140mm high and holds 10oz (29cl). 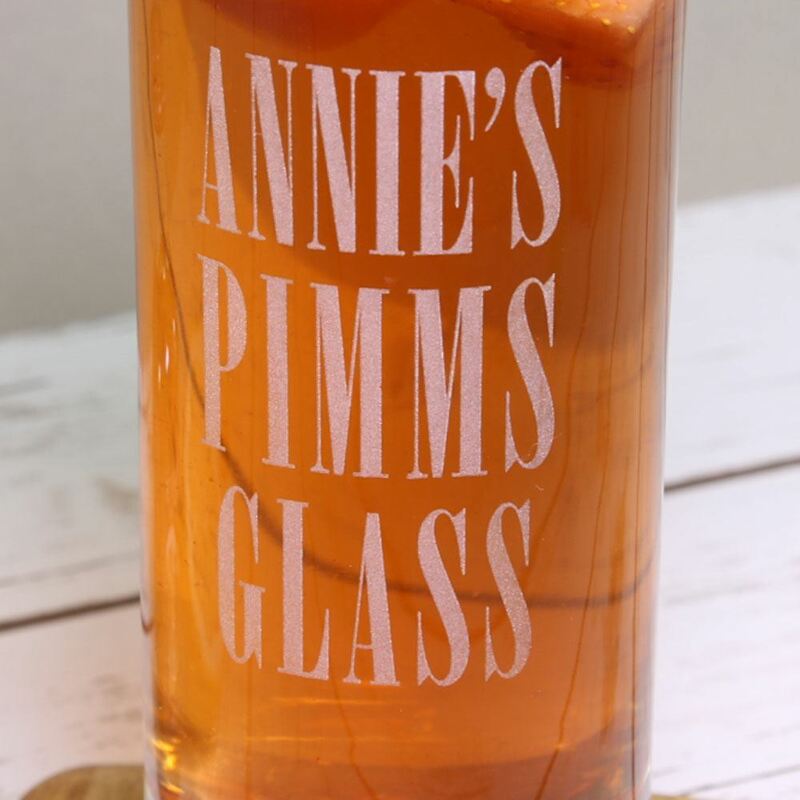 Please enter the name as you would like it to appear in the comments box when you order. 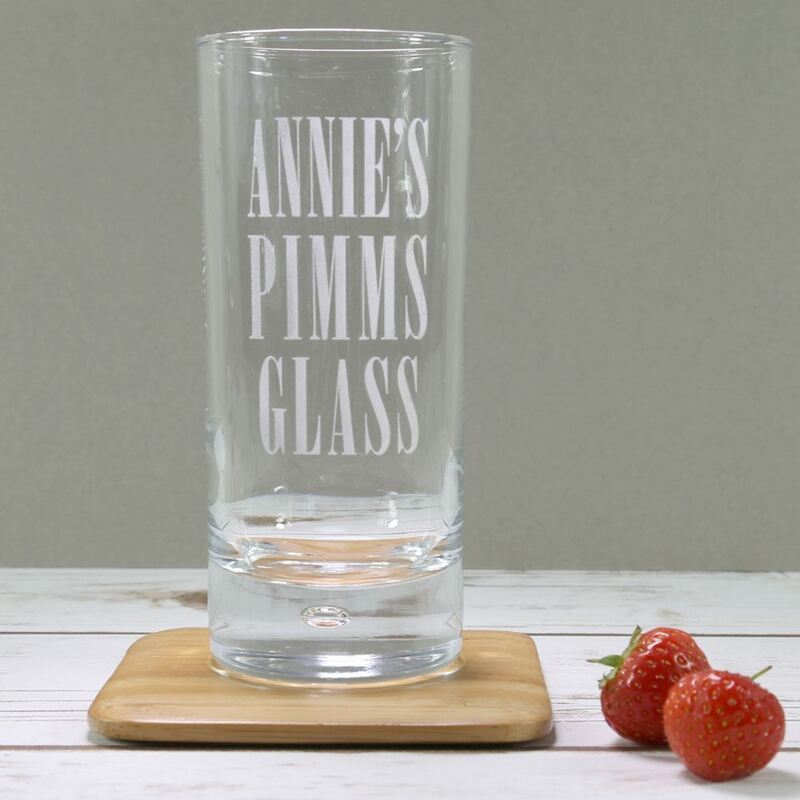 Alternatively we will contact you once you have placed your order to confirm the name for the glass.